Posted on July 19, 2018 by Kate H.
Burial Location: Congressional Cemetery, Washington, D.C.
Trial testimony can be thrilling and insightful. Trial testimony can also be a complete waste of time. Regardless, the witness is forever written onto the pages of history, even if their contribution to the overall story is minuscule at best. Take this grave here. It looks ordinary and that’s because it is ordinary. 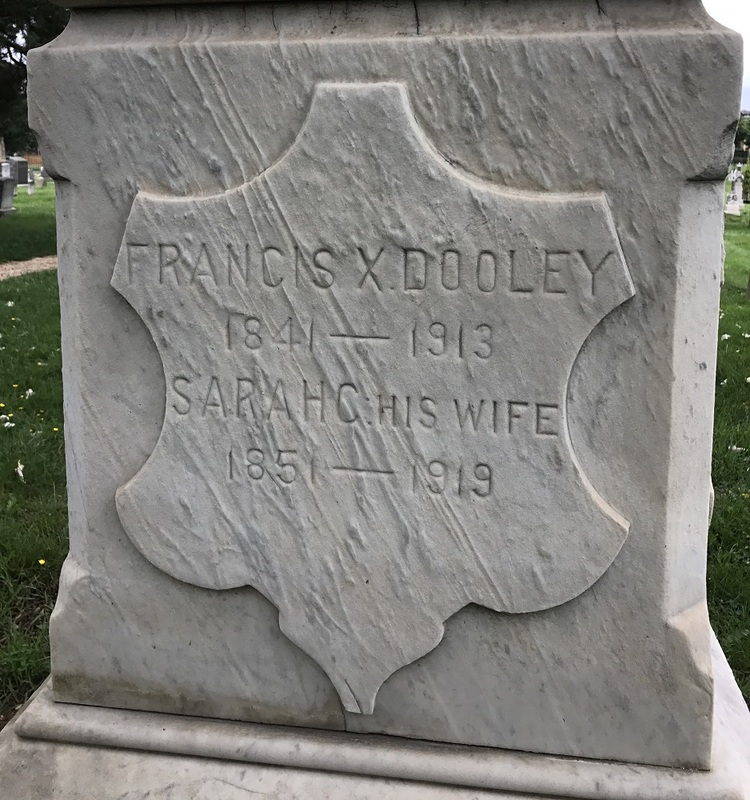 It’s the grave of Francis Dooley, a pharmacist who was placed on the witness stand during the trial of the century to answer a question about candy. That’s essentially it. His testimony is one of the shortest given during the seven week trial of the conspirators. 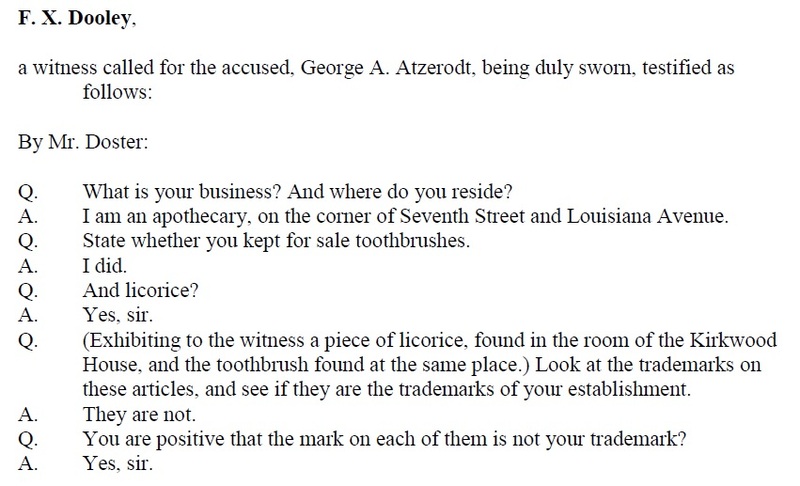 Perhaps Doster was hoping that George Atzerodt had frequented the pharmacy and Mr. Dooley would provide some insight into his character. This never came to be and Francis Dooley went down in history as the 1865 Candy Man whose testimony seemed to be completely pointless. 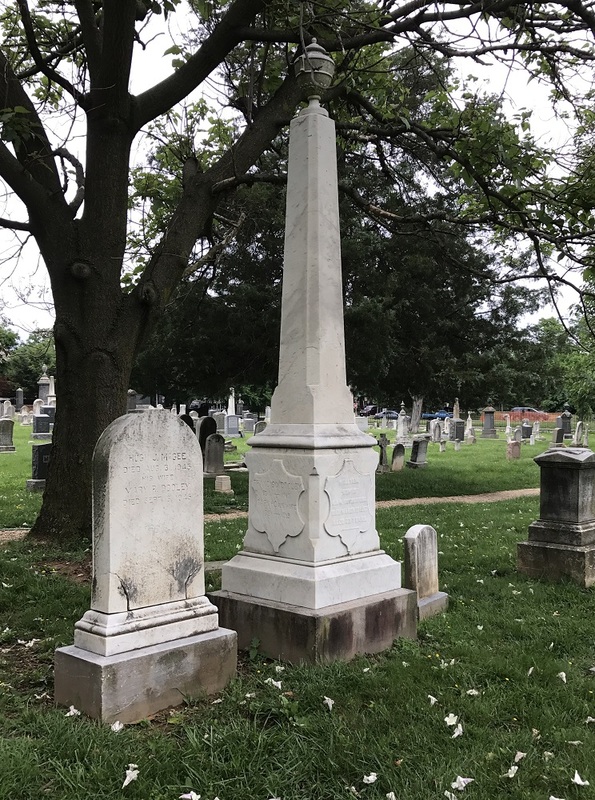 Today, visitors who wish to see a man whose sole claim to fame is getting less than five minutes of it, can visit the grave of Francis Dooley in Congressional Cemetery, not far from conspirator David Herold. Here’s the part where I would usually write something insightful about how even the smallest anecdotes can shed their own light but, in actuality, the statement of Francis Dooley isn’t deep or thought provoking at all. However, it’s funny in its bizzarrity, reminds us that even the most profound moments in history can take strange paths, and gives researchers a good chuckle.